Today is the age of information and technology. Things have been changing so fast with the technological advances. People want the best and up to date devices for their use. The Internet has given a tremendous rise to this need as people nowadays do the comprehensive research on the products they want to buy. Do things like reviews about the product aid the user in deciding what to buy? In 2012, rumors started roaming around that probably Valve is focused on building up “PC-based game console for living rooms”. Valve is the PC gaming company that have launched many of the popular Steam online game store for Windows and Mac, as well as hit game series such as Portal, Left 4 Dead, and Half-Life. It was not considered seriously at that time, but now the rumors have been turned in to the reality with the advent of Alienware Steam Machine. Moreover, most probably it is going to be released by this November. It has a complete and new version of a gaming console with the capabilities and guts that are equivalent to that of a conventional PC. It has a built-in library having over 1000 games, an interface that is particularly designed by keeping in mind the gamers, a pioneering controller and much more. 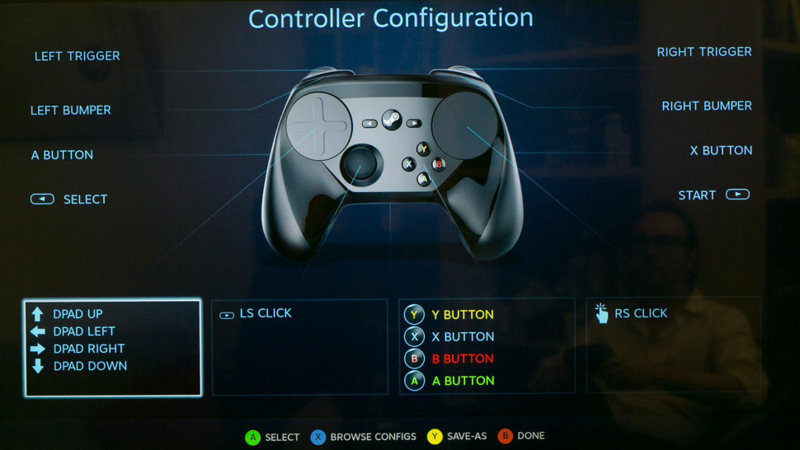 The Steam Machine concept has been roaming in the market for the past two years. The first edition of the steam machine was seen in the Alienware set-top box; it is coupled with a previous design with the novel included a game pad that was termed as Steam Controller. Alienware Steam Machine: A smaller game library than Windows, but a controller with big potential. The Alienware Steam Machine platform is provided with Steam OS. It is a Linux-based game storefront and operating system. The company has collaborated with the various PC makers for developing the hardware that will be running the Steam OS. It is quite similar in looks to that of Alienware Alpha. Alienware Alpha is launched in the market by Dell without any support from Valve. Dell claims that these two are total as for Alpha the OS that is being provided is window ten while Alienware Steam has Steam OS. The Alienware Steam Machine has two USB ports on the front, two more in the rear, HDMI output, optical audio out and an Ethernet port. Like Alienware Alpha, it has two other connectors as well: an HDMI input for piping a cable box through the Steam Machine interface and a fifth USB port hidden under a panel. It has pre-installed with the Steam Controllers. These are hidden in the secret compartment. The design and style of the controller are kept similar to that of Xbox. The reason is the universal use of these controllers. Instead of the stick touch pads are provided for the handling purposes and for completely comforting the thumb. Much more control will be on the controller as it is much easier to handle than a mouse. As far as the design is concerned, it is kept simple. It is a square that is glossy black in color with a lusterless black top. Simple LED’s are used; one is behind the power button and another highlighting a triangle-shaped bisection of the chassis corner. A Steam logo glows out from this triangle-shaped cut; this distinguishes Alienware Steam from Alienware Alpha. It is much more than a window based consoles because of many reasons. These include their easy setup, much more easy to use, extremely reliable and practically comprehensible. If we consider Alienware Alpha, then we will have to face the handling problems as we have to use mouse and keyboard for the purpose. On the other hand, this is not the case with Alienware Steam as the multiple operations can be performed with much ease by merely pressing a single button. 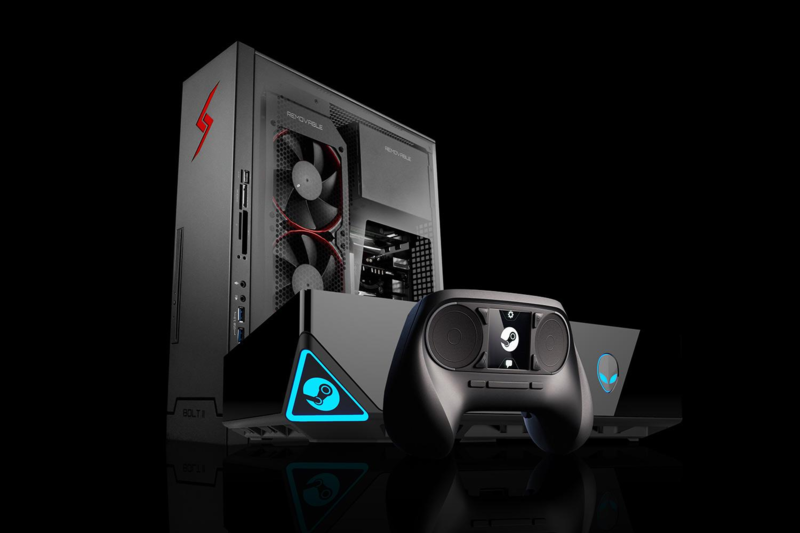 Alienware Steam Machine has a Core i7-4785T CPU, 8GB DDR3 memory, a 1TB 7,200 rpm hard drive and a customized NVIDIA GTX 860M graphics chip with 2GB of video RAM. All of these specifications provide a significant boost to performance. An exceptionally high-quality visual settings are achieved at a much faster frame rate is provided. The majority of the games undergo auto configuration on their own and adjust according to the default visual setting of the system. However, differences do exist among the different type of games. Alienware Steam Machine is the best available machine by Dell to date. The power can be sufficiently increased much easily by you. For this use the four screws on the bottom of the small case. From unscrewing these, you get access to the Steam Machine's RAM, HDD slot and LGA 1150 CPU socket. It is quite difficult to categorize and ultimately define Alienware Steam Machine. It is much more complicated than a simple game console. It is not only designed to play games merely as much more devices are serving the purpose. It is a combination of different things that all are put together to give us a versatile product by the end.